Idan Santhaus, Our Director of Youth Engagement teaches our 11th & 12th grade class (Jewish dilemmas and decisions). As young adults, the 11th and 12th graders face many new decisions: How am I going to live my life? Who am I now and who do I hope to be in the future? Where will I live and with whom? As we grow up, we take on new responsibilities and face more challenging ethical problems. The course for 11/12th graders will focus on some ethical “hot topics” and different approaches Judaism has taken in trying to solve these ethical dilemmas: How does Judaism view caring for our bodies, substance abuse and reproductive rights? What about Israel? How do Jewish scholars face conflicts of different kinds – political, economic and military? How can we become more informed about our world through the prism of Jewish life, thought and commentary? This class aims to provide students with different perspectives on these dilemmas, helping them to make informed decisions as young Jewish adults. Kol Ami 9th – 12th Graders meet together each week for a half hour “Kehila-Community” program. 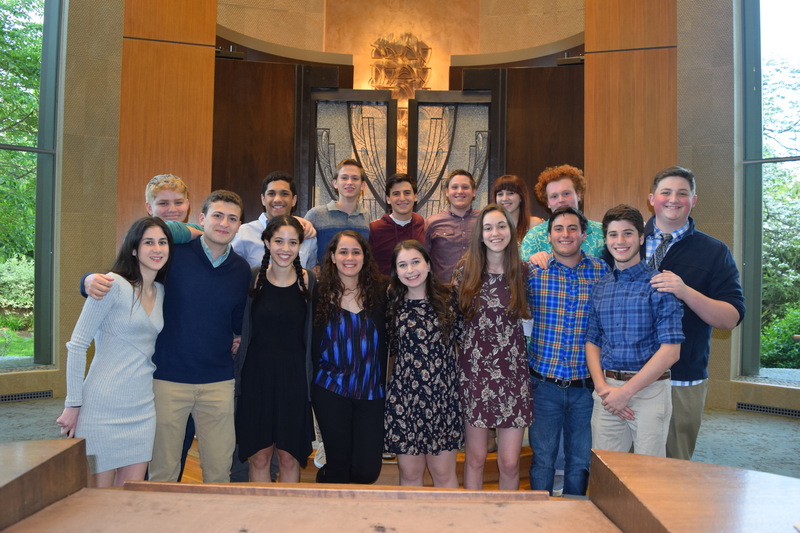 Programs are created and run by our “Vaad – High School leadership board” and span a range of topics important to our High School students.